This page is for all details regarding the University of Pretoria (UP) applications. 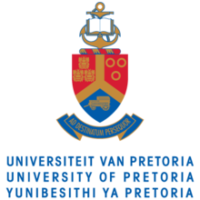 University of Pretoria online applications for 2020 and applications form details are all in this post. Applications for study at the University of Pretoria in 2020 are fully online. Application for admission to undergraduate study programmes for both South African and international citizens close on specific dates in the year preceding the year of study. Check the list of closing dates supplied below to make sure that you submit your application on time. To use the Online Application System you will need internet access, as well as an email address that you can access regularly because as soon as you submit your online application, a student number (EMPLID) will be sent to this email address as confirmation of receipt. an email address which you can access regularly because as soon as you submit your online application, a student number (EMPLID) will be sent to this email address as confirmation of receipt. Click on the video link below for a step-by-step guide on how to use the online application system. Each prospective student must complete only one online application. On the online application, the University of Pretoria offers a first and second choice in terms of what you wish to study. All applicants should fill in both a first and second choice on the online application.